Want to sleep 5 minutes more in the morning? Dilemma on what to choose for your daily makeup? 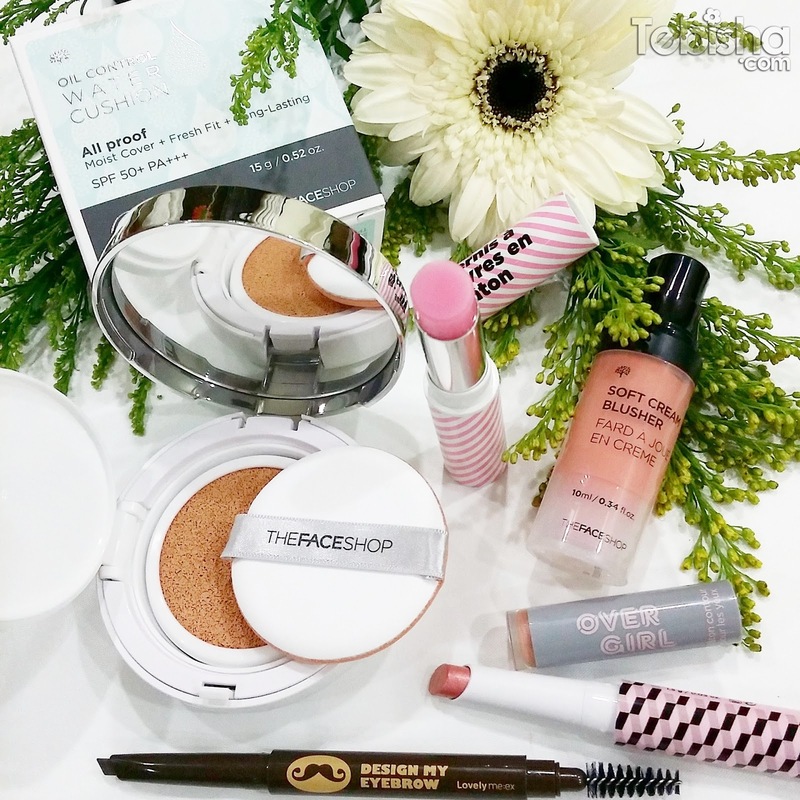 THEFACESHOP introduced Make Up On The Go! With some of their convenient and easy-to-apply makeup products you can now do your makeup easily on public transports / moving vehicles. 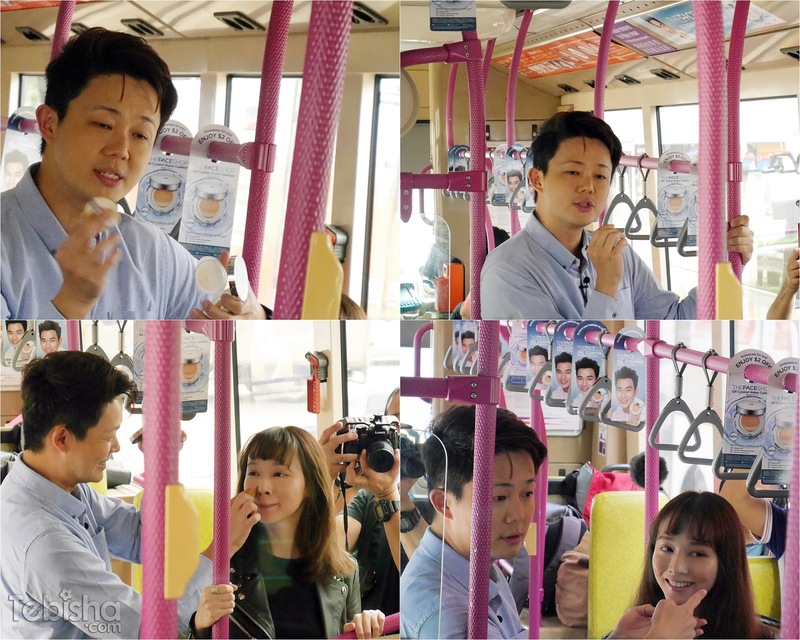 Last month, I got a special chance to hop on to THEFACESHOP chartered SBS bus and gotten some beauty tips from Celebrity Makeup Artist Larry Yeo. The event was held on the moving bus, an unique experience to witness makeup presentation and demonstration. We get on the bus from Plaza Singapura TFS outlet, the bus toured around the city area while we had our mini makeup session on the bus. Larry clearly explained to us on the techniques to apply and given us some useful makeup tips to put on perfect makeup on bus. My special package from THEFACESHOP. 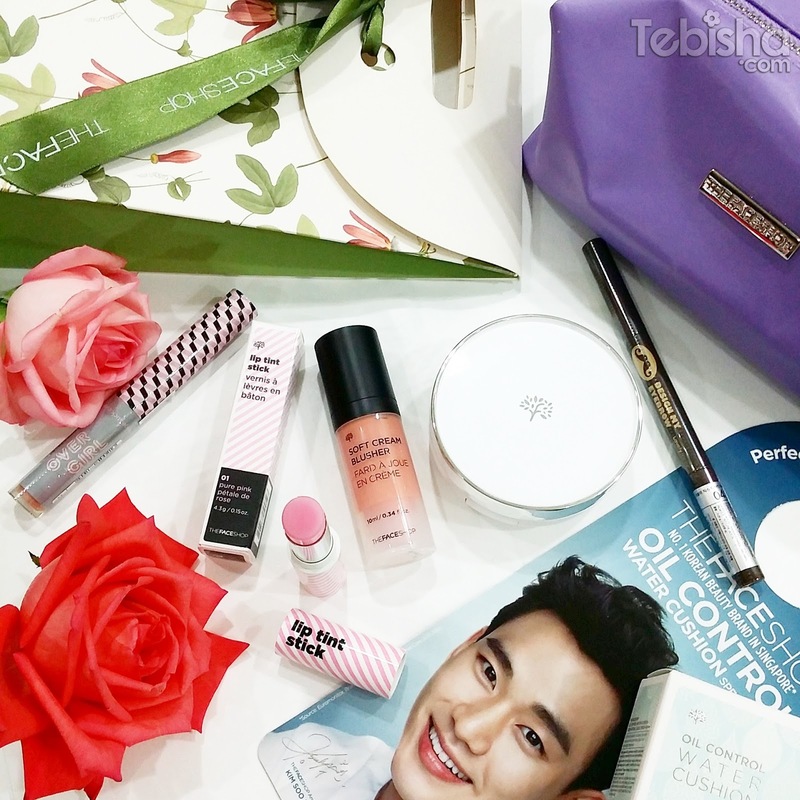 These are the 5 easy-to-use makeup essentials by THEFACESHOP. After the makeup demonstration, Larry even walked up to our seats and gave us more tips on apply Oil Control Water Cushion. *Tips: Always apply the cushion from the centre of your face then slowly blends outwards, this is to prevent uneven tone and patches on the face. The whole ride was about 45 minutes, we ended our journey at Bugis Junction TFS store. My picks among the 5 essentials are: Design by Eyebrows Liner and Soft Cream Blusher. I find these 2 products are the most easy-to-use items. Design by Eyebrows Liner is a must-have for all ladies, the triangular angle tip enable us to create the brow shape we want easily. No sharpener is needed too, very convenient! 1 more tips from Larry before I sign off, use our palms to apply Soft Cream Blusher. I tried it on the bus myself, by using our palms is to create soft and natural radiant blush on our cheeks. It’s fast and easy! Check out the event video on THEFACESHOP Singapore Facebook, Click HERE! Thanks Larry for giving us the useful makeup tips, make up on the go! Kudos to THEFACESHOP for hosting the fun and enjoyable event on a chartered bus. Many thanks for the invitation and the TFS products!